This cutting board remains in pristine condition and is used only for photos. Yeah. How many people do you know have a “good cutting board” you’re not allowed to cut on? Someday I’ll have a living room you can’t walk in. In addition to our delicious vegan sorbets we also offer an array of coconut and fruit based "ice creams" to please that animal loving palette! 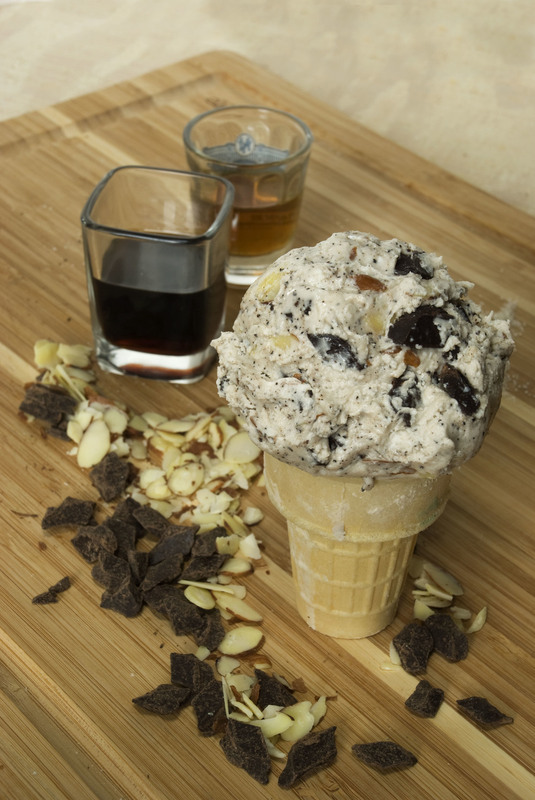 Most of our delicious flavors can be made into a vegan pleasing scoops you'll love! Just ask! Coconut milk, coconut rum and toasted coconut caramel clusters. I am a firm believer that anything can be a topping if you only believe. So if you don't see anything that strikes your fancy, just ask! Rainbow and Chocolate Sprinkles, Toasted Coconut, Chopped Nuts, Whipped Cream, Chocolate Sauce, Caramel Sauce, Chocolate Chips, Chopped Oreo Cookies Bits, and of course Maraschino Cherries!